While The Heart of Jenin by the German filmmaker Marcus Vetter was celebrated internationally, the Palestinian city after which it was named was still lacking a place where the movie that told its very own story could be shown. The only movie-house in the West Bank town had closed in 1987. 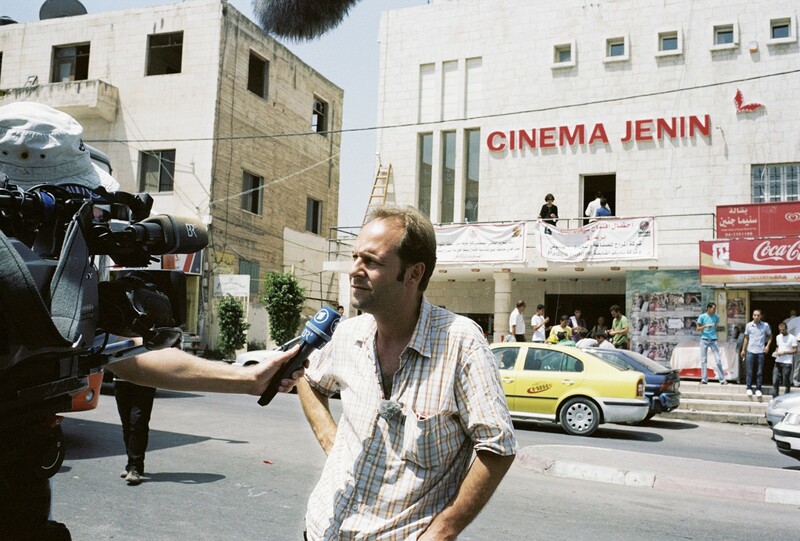 The decision to reopen it emerged and Project Cinema Jenin was born. At the initiative of Marcus Vetter, Fakhri Hamad and Ismael Khatib, and with the help of a group of enthusiastic locals and foreigners, the theater, which was totally dilapidated, got a major facelift. Sponsored by the German Government, Cinema Jenin reopened in August 2010, featuring plush seating for over 300 people, an outdoor cafe, art gallery space, a children's park and playground, plus a library, redesigning the worldwide stereotyped reputation of a city that is almost exclusively known as the capital of Palestinian suicide bombers. Workshops in filmmaking, computer-science and English were also part of the program. Many Palestinians boycotted the cinema though, claiming that unmarried men and women slept together in the cinema's guesthouse, and drank alcohol there. Audience numbers dwindled. Following death threats that were circulated in the mosques in early 2011, part of the foreign collaborators were evacuated at the request of their governments.